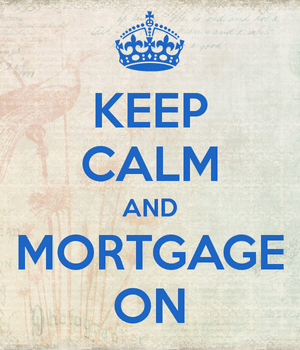 Mortgage lenders have come a long way in the past decade. They used to approve loans without the need for income, asset, or employment documentation, and now they can verify all those things in seconds. Yes, that was half a joke about the recent crisis and half a jab at the mortgage industry for continuing to reside in the Stone Age when it comes to underwriting and approving mortgages. But it appears the sea change we’ve all been waiting for is well underway. Instead of printing out stacks of paperwork and faxing in documents, mortgage borrowers can now verify many key items digitally. Perhaps this will shrink the average mortgage application from 500 pages to something a little more manageable. Maybe just 450 pages? It could also speed things up, as Experian notes some loan approvals can take as long as 70 days. Oh, and let’s not forget the $42 billion price tag to process all these mortgages each year. The latest step forward in this department comes via a partnership between credit bureau Experian and real-time financial data-sharing company Finicity. Together, we get Experian’s new “Digital Verification Solutions,” which among other things, will allow for asset and income verification. So instead of having to e-mail/fax your bank statements, paystubs, and tax returns, you can just provide access to such information with the click of a few buttons. You simply authorize retrieval of your financial data and the company is able to gather, analyze, and send a verification report to your lender, all within minutes. Their real-time Verification of Asset (VOA) Report gives lenders access to your checking, savings, 401(k) and brokerage accounts. It contains important details such as average balance, minimum/maximum balance history, flags large deposits and withdrawal transactions, and verifies the account owner. Their Verification of Income (VOI) Report provides data for up to 24 months, including average monthly income, frequency of income deposits, and income trends. These automated reports are both more secure and less onerous for the consumer, and safer for the lender because it means less fraud and a lower chance of buybacks. Ideally, it also means loan officers can spend more time originating mortgages, as opposed to chasing down customers for their latest bank statement, including ALL pages. And there’s no need for second requests because they have access to the data whenever they need it. So far, their technology covers 80% of all financial institution accounts in the country, meaning you’ll probably be able to use this service whilst applying for a mortgage. With this technology in place, Experian hopes to get the loan approval process down to as little as 10 days, maybe. The credit bureau also hopes these new methods of verification will make it easier for those with limited or no credit history (~25% of the U.S. population) to get approved for a mortgage. The idea is that most consumers have checking and savings account, along with payment obligations such as rent/utility/cell phone bills, which when verified (more easily) can demonstrate the ability to repay a mortgage. Whenever you hear about these “disruptive” technologies, such as Rocket Mortgage from Quicken, it sounds like it’ll be quicker and easier to get approved for a mortgage. The quick part makes sense, but the easier part is questionable at best. In reality, lenders and underwriters are still doing their typical diligence, just in a different manner or via new processes. Now imagine if lenders were able to do a “deep dive” into your income and assets using technology, instead of just asking for bank statements from the past two months (which can easily be manipulated)? Perhaps they’d be able to look at balances over time and income fluctuations and so forth, and then make assessments based on that more intricate data. In short, technology could actually make it more difficult to fool the lender. We’ve already seen credit reports get an upgrade through the use of trended data, and if innovations like these catch on, it’ll be harder to game the system. Of course, that’ll be a good thing for mortgage lenders and the housing market. Hopefully more good borrowers will be able to get mortgages while bad borrowers are kept out, a shift that may help us avoid another major crisis.